Let’s bring back house shows! Last night we had one of our the most fun show’s we’ve ever had… in my basement. 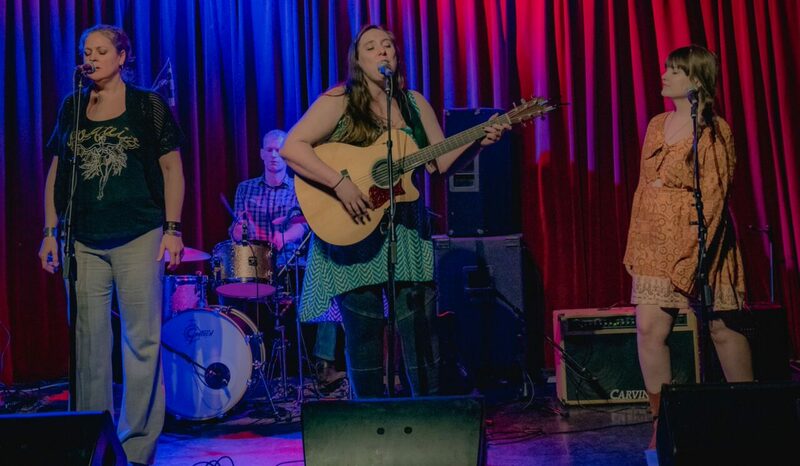 Our New York friends, The Please Please Me who had so kindly hosted us in their city, needed a place to play in St. Louis and I couldn’t find the right venue for a Sunday night…. so we made one! I decided to just have a house party and ask everyone to just, bring over a snack to share or some drinks and whatever they could afford to donate/buy merch from the touring band. I really wasn’t sure how it would all work out….. It ended up being a great time, we had a light show, unique bands, and even a fog machine. The basement was pure smoke and lights and music and it was beautiful! It was the kind of party I used to have to be sneaked into as a late teenager and had that same kind of magical feel. I can’t wait to host another! Visit our facebook page for pictures! Our new show is in Granite City, Il for the Toad Road Music festival which we are really looking forward to! Back in St. Louis after our mini-NYC tour and it feels great to be home! We loved Manhattan but something about being in you own home with your own pets is priceless! For those of you that don’t know much about St. Louis City (Missouri), I can tell you; yes the crime rate is high, but the perks are high too! For example, when taking my dogs outside with Jeremy and his dog we quickly came upon a flock of STRAY CHICKENS. That’s right, chickens, pretty young ones just squeaking on down the street. I ask around, but there seemed to be no home for these delightful little birds so one of my friends who owns a farm is going to come collect them soon. In the mean time, I’m using the my home daycare’s playhouse as a coop and letting them roam in my secured backyard. But it’s a perfect example of what I love about STL– you’re in a city, but not really, you’re still going to find chickens, and front porch rocking chairs, and a never ending supply of boys who fancy themselves heart-breakers singing the blues. In music news we’ve got a big season coming up! It all starts out this Sunday at a killer house party at my house (langenn@gmail.com for directions) The Defeated County, our friends from the road The Please Please Me, Jeremy Essing, and Captured Planet will be playing tunes in the basement. We ask that friends please bring a small donation, or money to buy the bands CD’s but we’d rather you come than not in terms of that stinkin’ $$$ we all need! Party is getting started early, around 7pm since it’s a Sunday. I’ll have a MASS of snacks and some cheapy drinks to share but please BYOD or a dish to share. Wow! In two days, five of the seven official The Defeated County members crammed our gear into a rental van and made it to from St. Louis to New York. Other members will be flying in to meet us. Being here is surreal and beautiful! The drive was a lot of laughing, some tears, a little blood, and a lot of gas, BUT IT WAS ALL WORTH IT! I have never been anywhere in New York before, much less upper Manhattan and I just about peed myself in as our drummer navigated us through the brutal New Jersey and Pennsylvania turnpikes. We’re staying in a small but comfy air bnb in Harlem. The lights and people here seem pretty magical! Today we pretty much just had time to get settled in and check out the few blocks around us, but tomorrow we get to really explore! OH more importantly, Tomorrow, we take the stage at The Sidewalk Cafe with our friends The Please Please Me, Kilan, and Jes Justices. The show starts around 9 and We’d sure love to see you! !